Hail Varsity’s numbers-driven preview series turns its focus to the defensive side of the ball for the final team with a breakdown of the secondary. 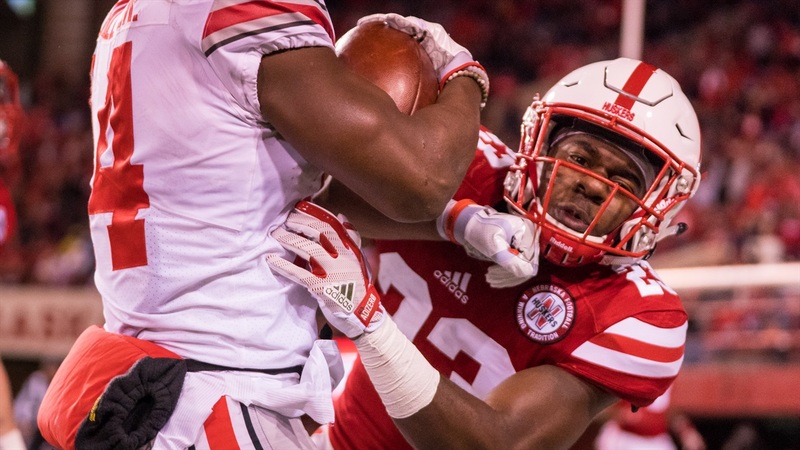 There wasn’t a whole lot to be excited about with Nebraska’s defensive backs after last season, but Nebraska is hoping a schematic change and an infusion of talent (and the increased competition that comes with it) will turn things around in 2018. The defensive backs’ inability to make a play on the ball last season was one of the biggest problem’s with Nebraska’s defense. Granted, Bob Diaco’s system had a big part in suppressing the opportunities to make those plays, but Erik Chinander’s defense certainly won’t. Last year, Nebraska’s defensive backs produced five interceptions — all by safeties — and 13 pass break-ups. Central Florida cornerback Mike Hughes picked off four passes and broke up another 11 all by himself last year. As a unit, the Knights had 14 interceptions and 29 pass break-ups for 43 passes defended, more than twice what Nebraska did last year. Senior safety Aaron Williams had two interceptions and one pass break-up last year. Antonio Reed had one interception. Marquel Dismuke put up zeros in both categories. Lamar Jackson notched three pass break-ups, Eric Lee Jr. two and Dicaprio Bootle none. Tony Butler, Avery Anderson and JoJo Domann did not see the field on defense. Tre Neal should help the Huskers. The Central Florida graduate transfer recorded three picks and three break-ups in Orlando last year. Travis Fisher has been tracking defensive back production all through the spring and fall. It has clearly been a point of emphasis for this new staff, and those who produce are going to play. There weren’t a whole lot of things to feel great about with the Nebraska secondary last season. Injuries, a scheme change and a failure to develop all resulted in one of the worst pass defenses in the country (see the above section). However, if there was one positive to take away, it might have been the play of redshirt freshman Dicaprio Bootle. The speedy corner out of Florida was far from a game-changer. His stat line reads 15 tackles including one for loss, no interceptions and no pass break-ups. No doubt the small sample size impacted Bootle’s numbers. But even so, he posted the best individual defensive success rate among the defensive backs by far at 64.3 percent. Defensive success rate, as the names suggests, is a measure of how often a play is successful when a certain player is involved in making the tackle. The lower the number the better, although it’s tough for defensive backs to post a really low number because most of their tackles happen at the second level or beyond. For comparison’s sake, Central Florida’s Mike Hughes — who the Minnesota Vikings drafted near the end of the first round of the 2018 NFL Draft — posted a 65.3 percent success rate. Neal’s was 61.2 percent. Only one Central Florida defensive back had a success rate above 70 percent. The second best rate among the defensive backs at Nebraska belonged to Eric Lee. Jr. at 70 and it only went up from there among retuning players: Aaron Williams at 75 percent, Lamar Jackson at 76.3 percent, Marquel Dismuke at 77.4 and Antonio Reed at 81 percent (!!!). Safety seems to be overflowing with talent. Williams and Neal are the two most experienced and look like the favorites to start with Reed as the next one up and a handful of young players in the mix for snaps. Cornerback, on the other hand, still seems very much up for grabs. Don’t be surprised if Bootle grabs one of those spots and runs away with it.